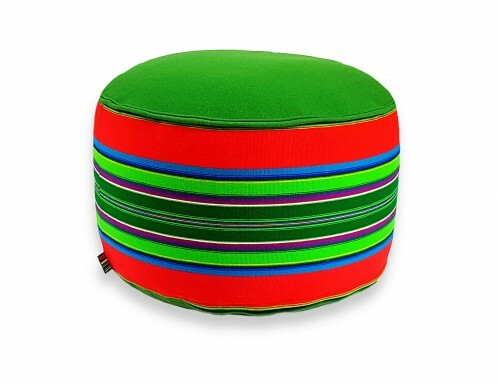 Striped colorful hand woven wool fabric cover, green woolen top, bottom and piping. Filled with pure lamb's wool. Optional light insert: granulated styrofoam. Weight: 10kg wool insert, 3kg granulated styrofoam insert. 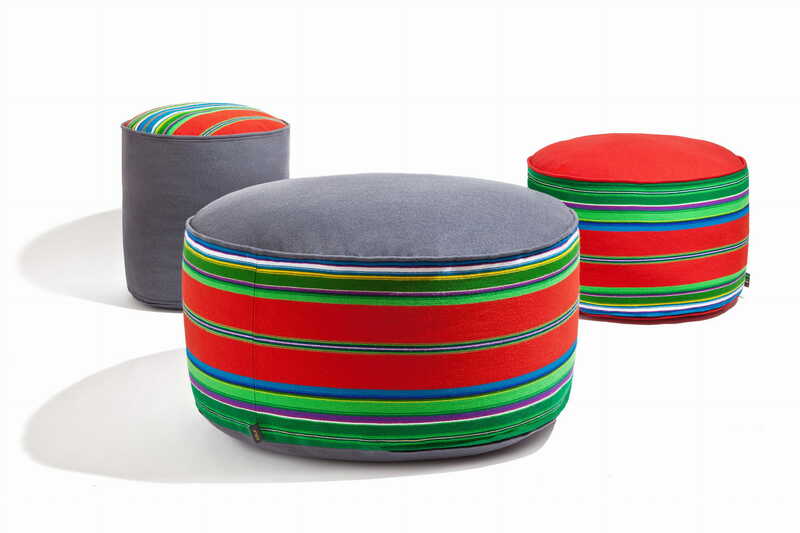 Folka poufs are made in limited unique color collections inspired by Polish folk from Lowicz Region. 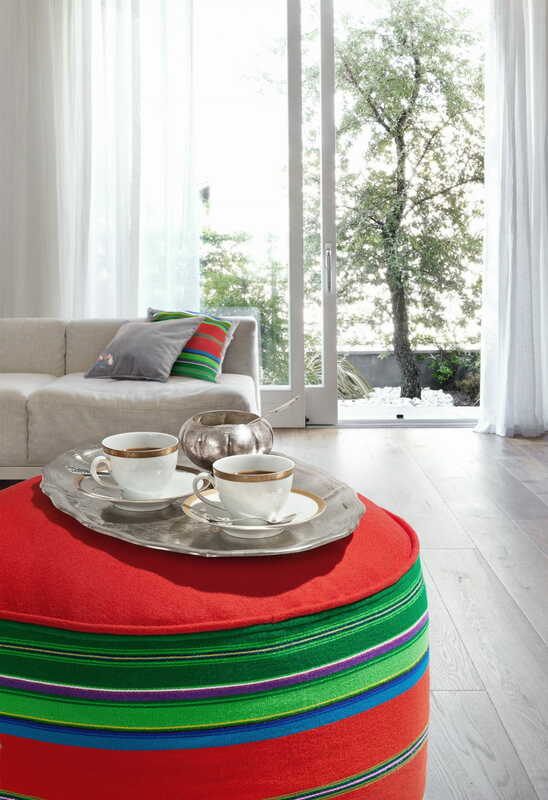 Each pouf is made from a calico bag filled with washed pure lamb's wool with addition of Lavender. They are produced in Poland, entirely from natural components. Metal zip (with Oeko-tex certification) allows easy removal of cover for occasional washing (hand and machine washable, program for wool). Because of wools ability to shrink, wool fabric must be washed in water below 30°C, just using a special detergent for wool or a delicate soap. The rectangular cushion has woollen hand made folk fabric from Lowicz Region: a multi-stripe pattern in several colours on both sides. Materials: velvet 100% cotton, cover 100% wool, , inlet 100% cotton.